When you send out email advertisements, the presentation of your information is what will get the potential customer’s attentions. The presentation gives the customer an idea about how serious you are with your work. 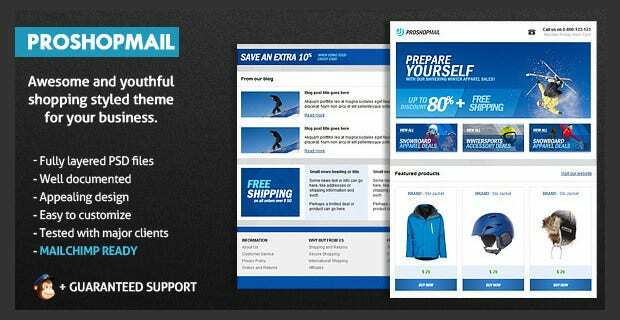 Create a great impression with some of the following templates, and get more responses from targeted customers. The templates are easy to use and diverse, giving you several options on how to present your products and services to potential buyers. 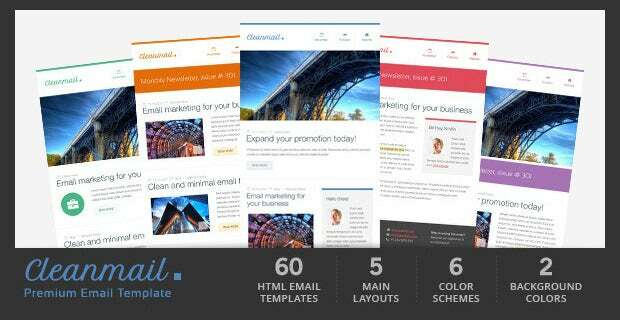 A Template that is very popular since it come with several different themes, 160 in total, allowing you to create a different look with each email advertising campaign. 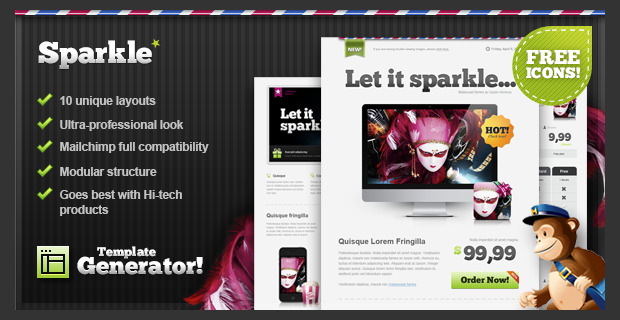 This is a great template when you want a HTML email template. 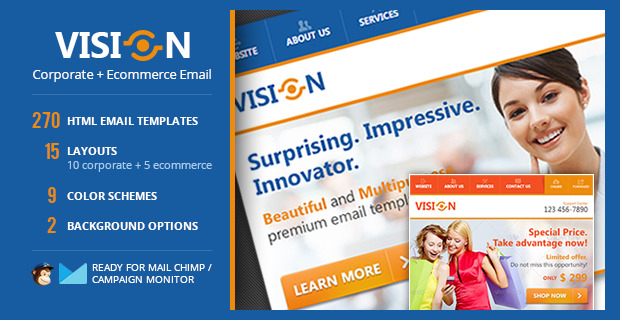 It comes in 20 different designs, and is compatible with a vast array of email tools, making it versatile. An interactive template that allows the reader to send queries, and the content is easily viewed. It has 5 colors, 16 layouts and 8 block modules. 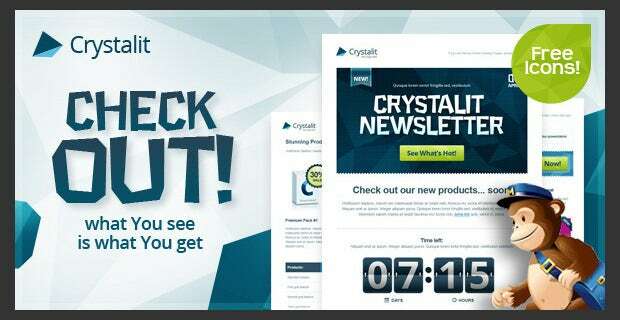 With email marketing ruling the roost, a lot of companies send newsletters via emails to the users giving them a sneak peek into the happenings and developments. These have to be concise but at the same time engaging, which is why using an email newsletter template is a great idea. You only need to customize and it is ready to be shared. 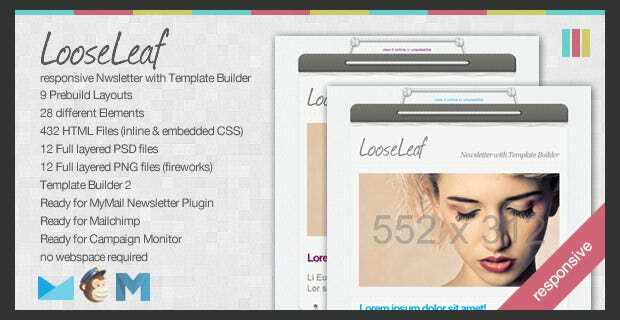 A Templates package that has 270 different templates, 9 colors, and 15 layouts. It has light and dark variants. 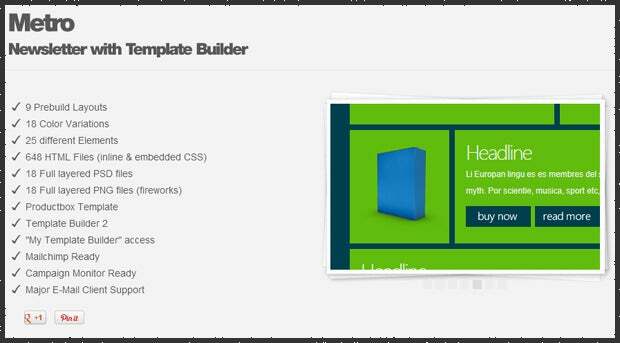 Has a template builder and several templates that you can customize. With 120 templates in the pack, you will present uniqueness with each campaign. Easily customizable template that requires minimal technical knowledge. 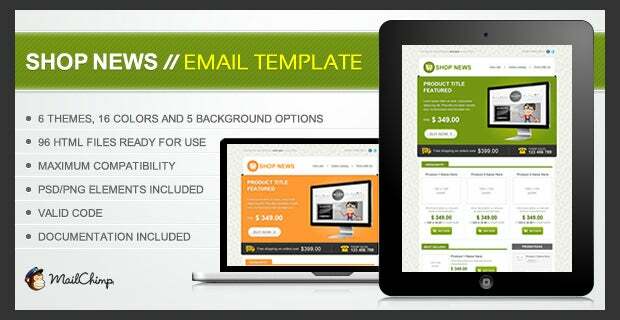 The pack has 110 templates allowing you to alter successive email advertisement emails. 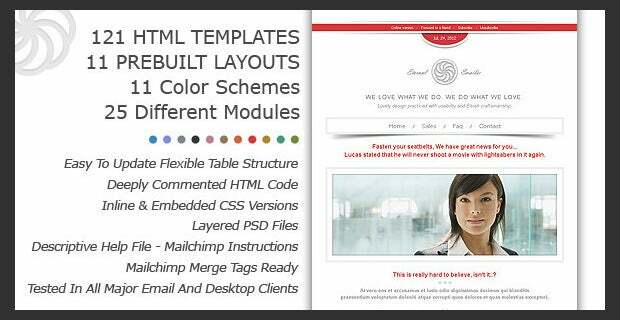 This is a package that comes with over 400 templates and an inbuilt template builder, enabling you to customize the template within. 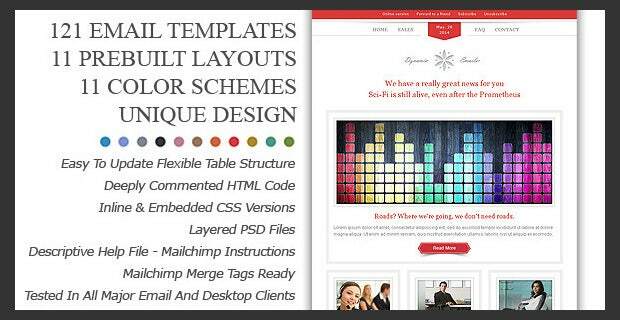 A versatile template with over 40 HTML files and 7 pre-build files. 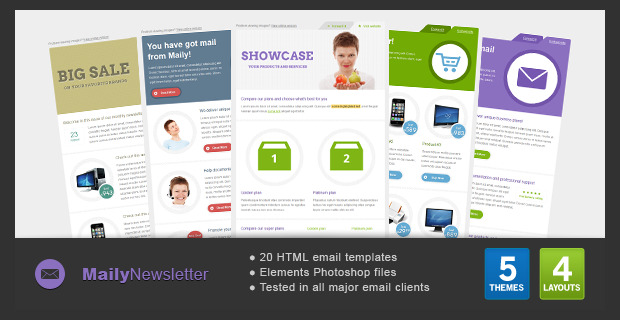 This is a unique email advertizing template with several templates that are compatible with popular email marketing service providers. 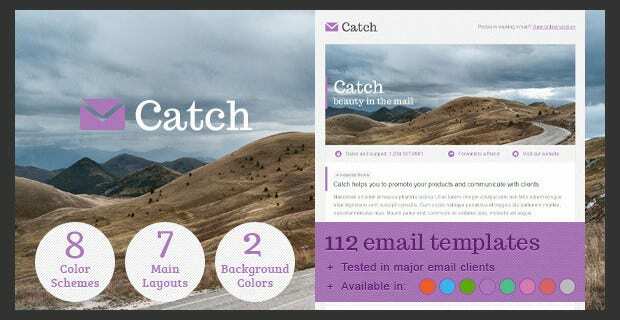 24 email marketing templates with 6 colors and 4 structures making a great option for unique advertising. You also get 10 social media icons free. These are made using Photoshop, and has 6 layered files, which you can customize if you are adept at using the software. The package comes with over 40 templates. 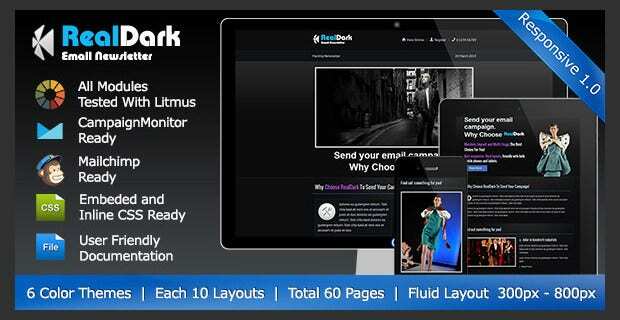 The pack comes with over 10 layouts that have been set out for you, and has 120 email templates. 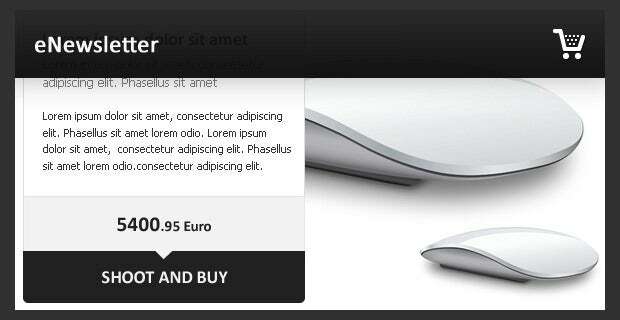 This is a template ideal for most ecommerce and sales, but can also be adopted to fit any niche. It is attuned to most email readers. 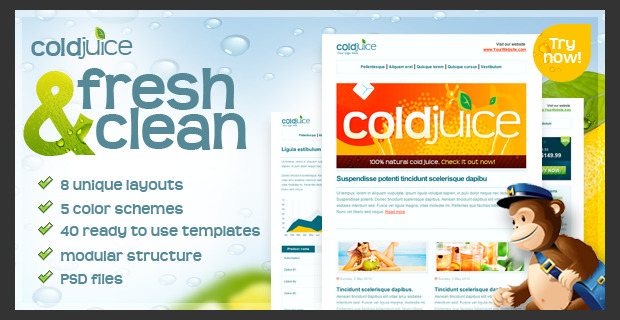 The templates have clean HTML coding. This is a minimalist template that gives a professional look. 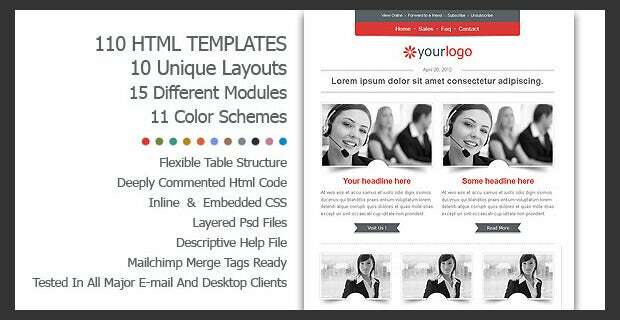 It has 60 HTML templates in 6 colors, 5 layouts and 2 backgrounds. 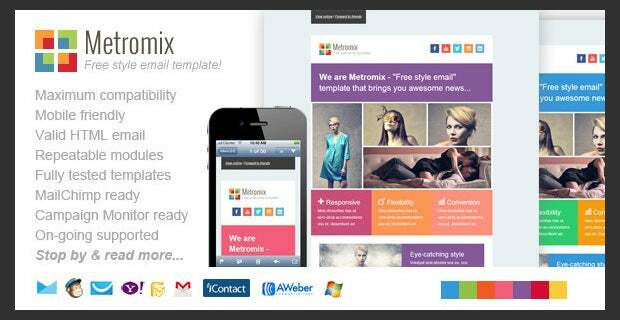 This is a metro style email template that is suitable for marketing products from any niche. It works well with all service providers, and also fits many types of browsers. 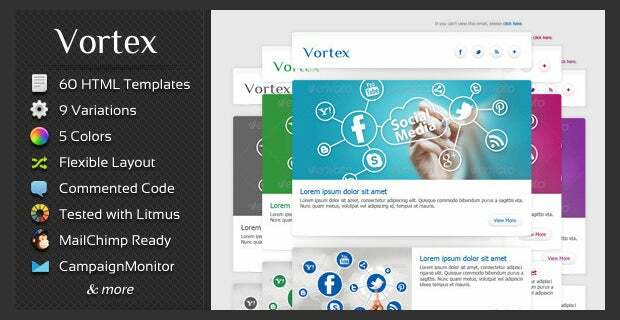 This is a HTML template that works with several browsers including mobile browsers. It is colorful and comes with 11 color schemes and 10 pre-built layouts. The templates are great for any type of business. This is a template that is very versatile since it comes with a template generator. 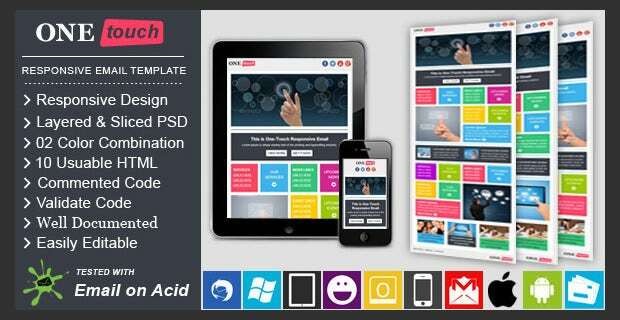 The generator allows you to make unlimited changes to the template. This provides you with the opportunity to have unique email adverts every time. This is a great template that can be used by companies and agencies. 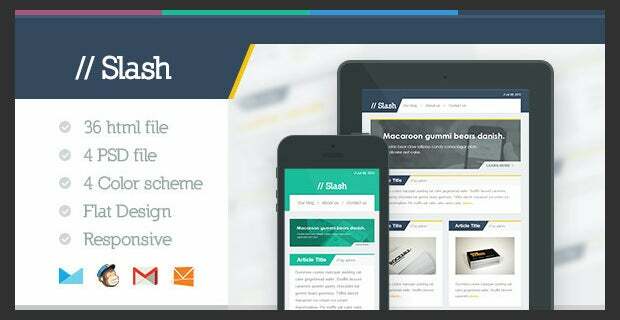 It is an HTML template that has all the PSD and PNG layouts included for easy. 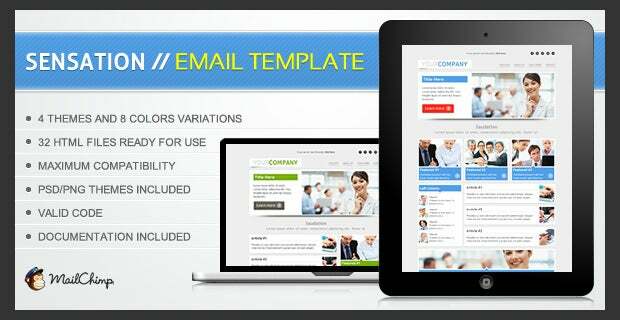 An email template built for freelancers, enterprises and corporate entities who want a clean presentation of their advertisements. 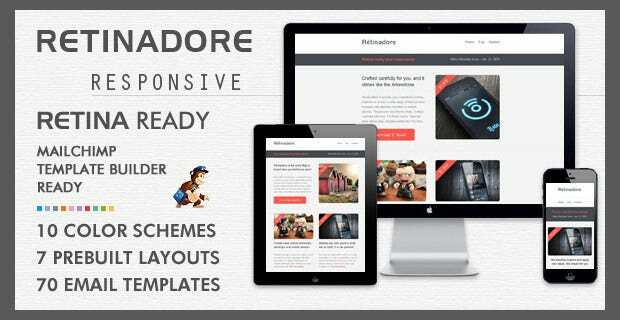 You will get both responsive and non-responsive templates in the pack. This gives you plenty of latitude when deciding which approach to use in your campaign. This is a newsletter that has a “what you see is what you get” editor. 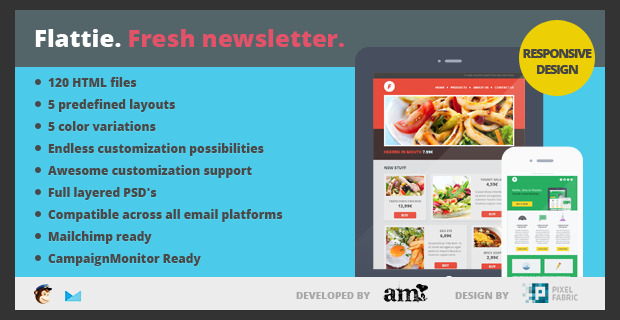 This makes it easy even for the non-techie to send out fantastic email newsletters and advertisements. 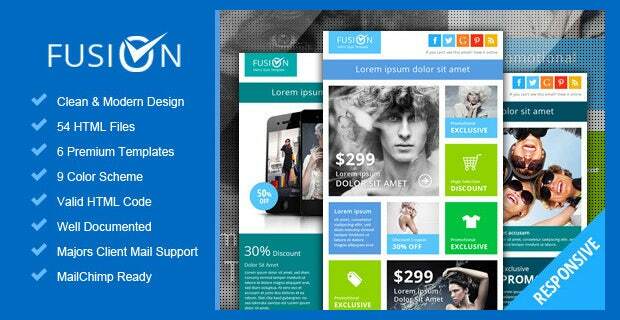 The template does not have distracting elements hence you will get your customers attention. An email template that is professional and versatile. It has several modules, color schemes and prebuilt layouts. It is consistent with all browsers and mobile email clients. The styling is elegant. 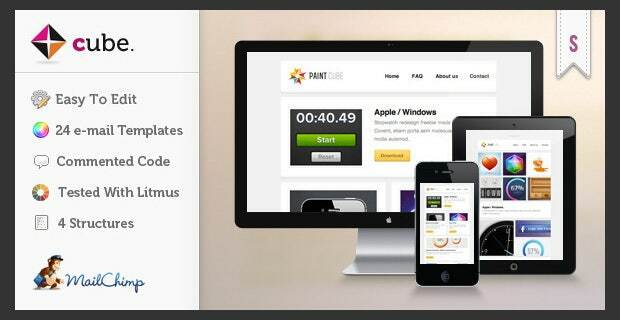 This comes in 5 colors and 8 layouts, and comes with the original PSD files allowing you to customize the theme. A simple clean template that is of high quality and is easily customized. It can fit ant niche thanks to the customization. An awesome business template that has a dark modern theme. It comes in 6 themes and 10 layouts. 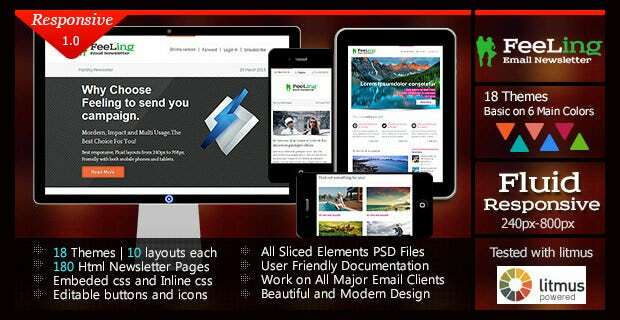 Its fluid design makes it compatible with mobile browsers. 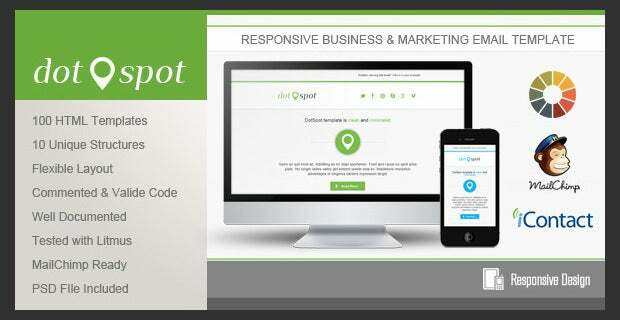 This is a responsive template that is clean and professional. It can be used by any business and is compatible with mobile browsers. Comes in 5 layouts and 2 colors. There are 10 templates in this pack, and all PSD files are included. 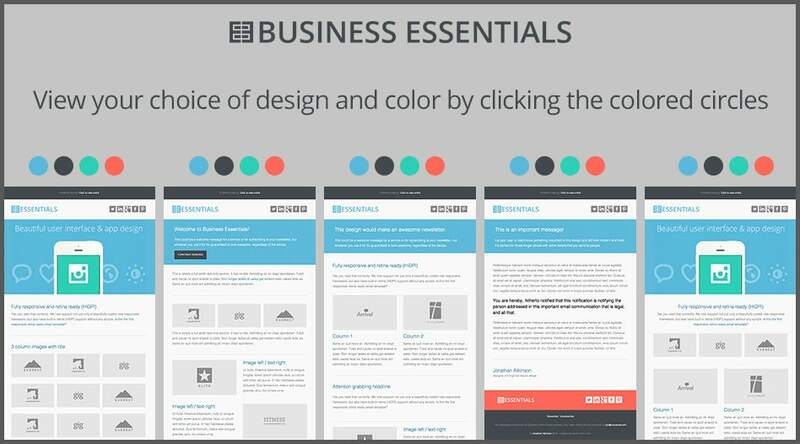 This is a template that is bursting with features enabling you to present your business in several entertaining ways. The idea here is to entertain your audience as they read your advertisement.